Marc shares some of what happened on this day in history, including the Sidereal Winter Solstice in South and Southeast Asian cultures, Ratification Day in the United States, and the birthday of musician and composer Allen Toussaint. Sidereal winter solstice celebrations in South and Southeast Asian cultures; marking the transition of the Sun to Capricorn, and the first day of the six months Uttarayana period. Ratification Day in the United States refers to the anniversary of the ratification of the Treaty of Paris on January 14, 1784 at the Maryland State House in Annapolis, Maryland by the Confederation Congress. This act officially ended the American Revolution and established the U.S. as a sovereign entity. 1833: Reverend Samuel Worcester is a missionary to the CHEROKEE Nation in Georgia. The state of Georgia ordered all whites living with Indians to swear alliegence to the state of Georgia. Reverend Worcester refuses to do so. On September 16, 1831, Reverend Worcester was sentenced to 4 years at hard labor in a Georgia prison. Even though the Supreme Court rules that it is uncontitutional for Georgia to jail Reverend Worcester, he will not be released until today. 1873 – P. B. S. Pinchback was elected to the U.S. Senate on this date in 1873. Pinchback was the first person to be elected to both the House (1872) and Senate (1873). Both elections were disputed, however, and he was not seated either time. 1879: Dull Knife’s CHEYENNE escapees from Fort Robinson, have fortified a position 20 miles from the fort, in northwestern Nebraska. They, again, fight with troops, who use artillery. The artillery is ineffectual, and the Indians escape in the night. The Army estimates their numbers at 45, including 19 warriors. CHEYENNEs captured on January 22, 1879, will say Dull Knife was probably killed during this fight. 1924 : A local Iowa newspaper announced the possibility of growing lettuce indoors. This lettuce grown would be produced in “simple greenhouse-like buildings that do not cost very much to construct. The U.S. Department of Agriculture was all for this project at this time. The U.S. government appeared to be confident that good crops of lettuce would be able to be produced in this way. 1930 : A highway patrol man has been reported on this day to soon be giving a group of about 200 families an “eviction notice”. These homeless families were camping along a Missouri highway near Sikeston. 1942: A reluctant but resigned Roosevelt signed the War Department’s blanket Executive Order 9066, which authorized the physical removal of all Japanese Americans into internment camps. 1949 : The Department of Justice took action against AT&T, forcing the company to forfeit ownership of Western Electric. Western Electric was a manufacturing firm, and AT&T was established as a telecommunications company. Therefore, the Department of Justices became involved in this situation as an effort to stop AT&T from dominating the industry. As of 1959, AT&T agreed to narrow its scope of business-to only concentrate on running the national phone network and government jobs. 1975 – President Ford named William T. Coleman Secretary of Transportation on this date in 1975. Coleman was the second Black to hold a Cabinet position. 1981 – James Frank, the President of Lincoln University (MO), was named as the first Black President of the National Collegiate Athletic Association (NCAA) on this date in 1981. 1981 : IRAN – Finally, this date was the end of a hostage crisis that started in the year 1979. University students who were backed by leaders of Iran’s post-revolutionary regime (group of people in power after Iran was changed from a monarch to an Islamic republic). Originally, over 60 people had been held captive, 52 of which for a total of 444 days. 1986 – Britain and US are asked for help by Lesotho in breaking South Africa’s border blockade. 1987 – The National Urban League, in a “State of Black America” report, harshly criticized President Reagan and his policies on this date in 1987. The report was a response to what many people viewed as a recent increase in raw racism and economic depression. 1991 – The deputy leader of the Palestine Liberation Organisation, Salah Khalaf (Abu Iyad) is assassinated in Tunis by a bodyguard (possibly on the instructions of Abu Nidal). 1993 – Five women are stoned to death in Somalia for adultery. 1653 – Algernon Sidney, Politician and political theorist who argued against the monarchy and paid for it with his life. 1741 – Benedict Arnold, America’s most famous traitor during the Revolutionary War. 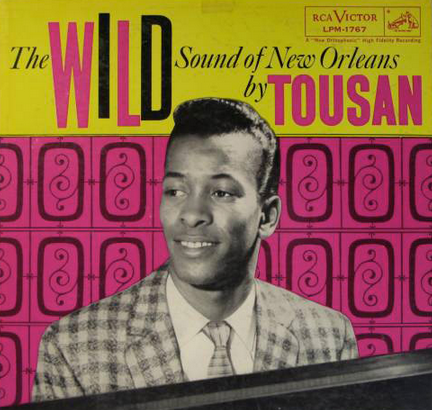 1938 – Allen Toussaint is an American musician, composer, record producer, and influential figure in New Orleans R&B.